climate change Archives - Solar Love! On September 28, freakishly high winds toppled almost two dozen towers supporting high tension power lines near Melbourne and Adelaide, Australia. Thanks to automatic protection devices built into the grid, power to the affected areas was cut off within seconds to protect people and utility workers from from potentially lethal electric shock from the downed power lines. But the shutdown then cascaded throughout all of South Australia, an area of some 380,000 square miles. Ever since the blackout, interest in the Tesla Powerwall has surged. The Tesla Powerwall is a residential storage battery designed to keep the power flowing to a home during power outages. While its capacity is limited to about 5 kilowatts of power, it’s enough to keep the lights on and to power selected appliances like refrigerators and air conditioners. It’s not the same as being connected to the grid, but with wise management it can provide backup emergency electricity for 24 hours or more. Emily McMahon, co-founder of Off-Grid Australia in Victoria says calls about the Powerwall have jumped 30 times or more since the blackout. “People are sick of the grid in general and the high electricity prices,” she says. Her customers are interested in blackout proofing, the environment, and returns on investment from gaining energy independence. McMahon says people in Australia typically pay between $20,000 and $25,000 for a complete solar power system that includes solar panels, an inverter, a Powerwall, and installation. Australia has been experiencing a rapid increase in renewable energy in recent years. At the time the windstorms hit last month, wind turbines were providing 1,000 megawatts of electricity to the grid. Near Sydney, a new development is equipping all homes with a complete solar power system, including a Tesla Powerwall. The community has been nicknamed “Tesla Town” as a result. That hasn’t kept ignorant politicians from jumping into the fray, starting at the very top. According to Australian website Crikey, the country’s prime minister, Malcolm Turnbull, has gone so far as to blame the blackout on too much renewable energy sloshing around the grid at the time. Turnbull and his political cohorts are deep in the pocket of Australia’s extensive coal interests. Some have even suggested that Australia has enough coal buried underground to power the entire nation for 1,000 years. Americans may recall Donald Trump making a similar statement during the second presidential debate. Politicians get their talking points spoon fed to them by their primary benefactors. Neither Trump nor Turnbull has given the slighest thought to the damage that burning coal would do to the health of the people they supposedly represent and could care less, just so long as they win elections. In point of fact, every energy professional, including the people how operate the grid in South Australia, maintain that renewable energy had nothing whatsoever to do with the blackouts. The issue was downed power lines, not the source of the electricity they were carrying. It never occurs to these clueless so-called leaders that freakish storms are precisely what climate scientists warn will occur more frequently as alternations in the world’s climate accelerate. As interruptions in service increase, home energy storage units whether from Tesla or from competing manufacturers will change from being a luxury to a necessity. The Los Angeles City Council voted unanimously on Friday to switch to 100% renewable energy as soon as possible. The action by the Council directs the Los Angeles Department of Water and Power (LADWP) to develop a plan for deriving 100% of the electricity the city uses fromrenewable sources. The directive specifies that LADWP should examine where, when, and how the city should allocate resources to achieve that goal. Donald Trump is ignorant about a lot of things but none more so that solar power and wind energy. Campaigning in Pennsylvania on Monday, the Republican nominee went on a rant against solar and wind. He criticized both for being way too expensive. When we see a statistic like this — 63% solar growth rate — we might tend to assume the growth was for one year. However, solar power grew 63% per year in New York state for the years 2010–2013. This figure comes from a new report titled, Star Power: The Growing Role of Solar Energy in New York. It also says that the entire state of New York could be powered by solar. Actually, it says New York has enough solar power potential to generate eleven times the electricity it consumes. Back to the current reality though, which is more tangible. If solar power in New York grew at an annual rate of 63% for several years, then the total growth was well over 100%. Of course, such growth is a big success, but did you hear about it on local or national broadcast news? Probably not, just like you probably didn’t get to learn about the 15,000 jobs created by solar power in California. That’s right, there is a lot of good clean energy news which is not being reported by mainstream media outlets. If the Internet wasn’t available, we very likely wouldn’t hear about such developments at all. If New York’s solar power continues to grow at a similar rate, the whole state could generate about 20% of its electricity from solar by 2025. If the state could achieve such a high level of solar power production, it would mean there would be far less electricity consumed from coal power plants. Not burning the enormous amounts of coal required to produce 20% of the state’s energy would mean there would be far less CO2 produced because solar power creates none of it. In fact, using solar power instead of coal power would be like taking about three million cars off the roads, in terms of reducing CO2 emissions. The solar benefits don’t stop there. 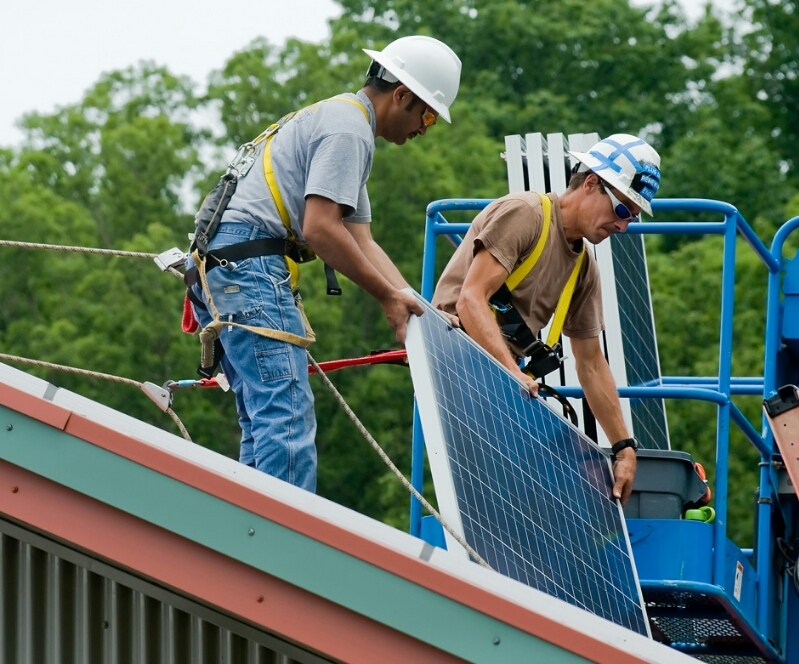 Last year, about 5,000 people in New York were employed by the local solar industry. If solar power grows to 20% of all electricity there by 2025, a considerable number of new jobs will be added in the process. New jobs mean money in the pockets of more residents, which will most likely be spent locally. The solar manufacturing industry is now a highly competitive industry. Solar module companies that can’t compete are dropping like icicles on a warm spring day. Shell dropped out of the solar module race in 2006, giving its solar business to SolarWorld. 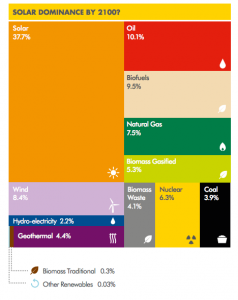 Nonetheless, Shell is still quite bullish on solar energy in the long term. In one of the two future energy scenarios it just released (the New Lens Scenarios), it projected that solar would become the largest source of energy by 2070. 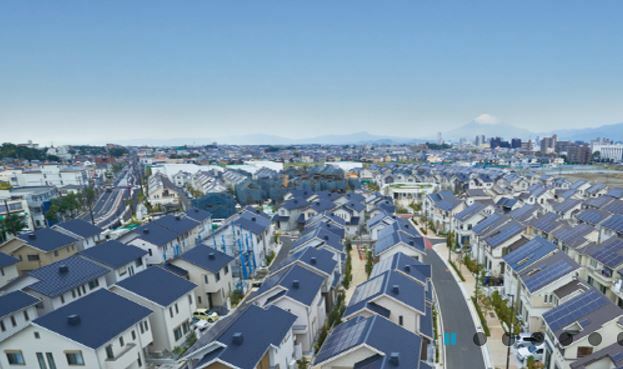 Solar industry enthusiasts (which I assume most of you are) know that solar power has grown tremendously in the past several years — to be specific, from about 1 gigawatt (GW) in 2000 to about 102 GW at the end of 2012. It is still a small piece of the energy or even electricity pie, but it’s growing fast. And, most importantly, it looks like it will have a very bright future. In both of Shell’s new scenarios, which are led by Jeremy Bentham (Vice President Business Environment and Head of Shell Scenarios), the company sees global CO2 emissions dropping to zero by 2100, but through very different means. In the first, its projection is that solar will account for 37.7% of primary energy use by 2100. The company is also bullish on natural gas, electric vehicles, hydrogen (as a transportation fuel source and resource for electricity storage), biofuels, and wind power (compared to other energy sources). But there’s much more to the story than these simple statements. The report includes some interesting discussions of the increasing competition between the U.S. and China; globalization, and some of the complex issues that come with that; three paradoxes, which it calles the prosperity paradox, the connectivity paradox, and the leadership paradox; the structure of the global economy; and other interesting matters.